5 mm Prodigy Probe. Tuning range: 1H, 13C, 7Li, 27Al, 29Si, 129Xe. Variable temperature from -10 to 70 °C. 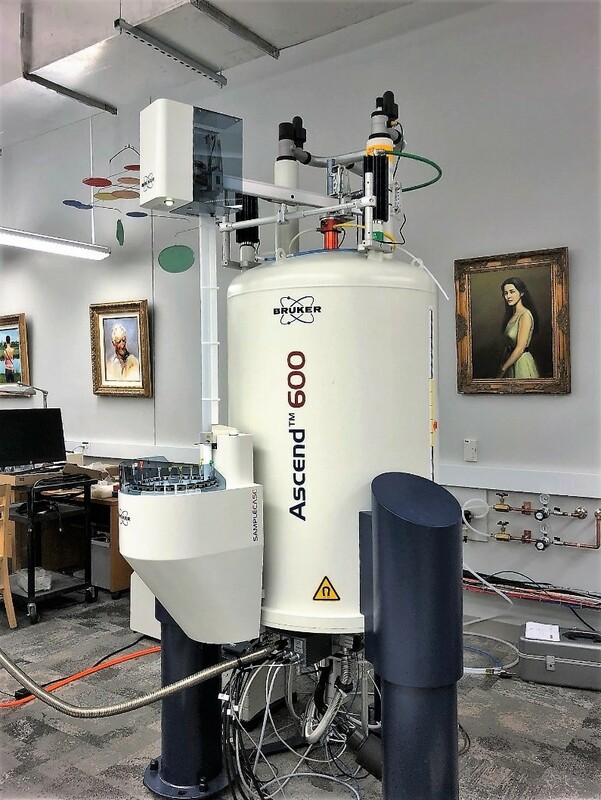 This instrument is capable of running all 1D, 2D and 3D-nD NMR experiments. Autosampler – 24 samples. Bruker Topspin 3.5 pl7 including non-uniform sampling software.